Did You Know Maharashtra Has Its Own 7 Wonders? Back in 2013, Maharashtra Tourism Development Corporation (MTDC) in association with ABP Majha, a leading Marathi news channel, carried out an entire campaign to spot seven wonders in the culturally rich state of Maharashtra. Evaluated on various perimeters coupled with people’s choice, they curated the following spots to fuel tourism in the state. So ditch Goa, Gokarna, and Alibaug this season, and head to these iconic spots instead. A two-hour drive from Aurangabad, you’ll need to trek up a little to reach the Ajanta caves. The caves, situated overlooking a ravine, has beautiful paintings that date back to as far as the second century BC, showcasing the life of Buddha. A lake created by the impact of a meteor, the only such feature in the whole world, is Lonar lake. Nestled between tiny hills all around makes for a picturesque sight along with an opportunity to spot various types of birds. This is a hill fort that was originally built by Chandrarao More but was later captured by Shivaji Maharaj who made it his capital. One needs to either scale about 1,700 steps to reach the fort or hop on to the tramway that takes only 10 minutes to reach the top. 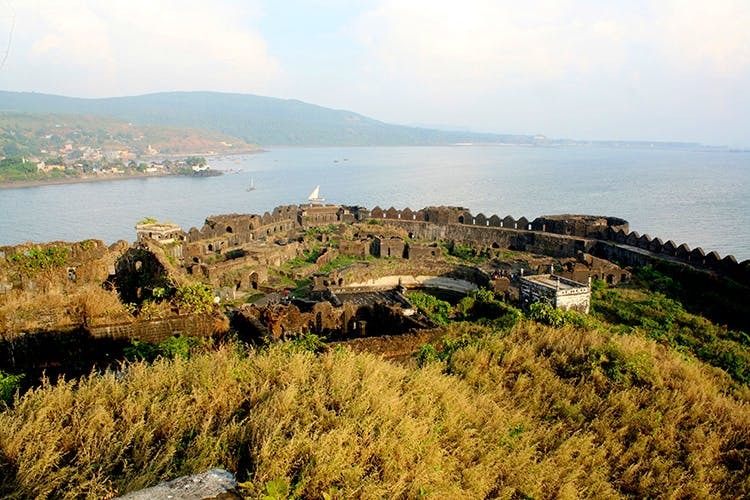 With a massive history, Raigad fort is a scenic spot that should be on your travel checklist. 30 km from Satara station, Kaas plateau is a UNESCO heritage site thanks to its extensive range of flora and fauna. What is also known as the valley of flowers, Kaa Plateau is especially beautiful in the monsoon and is home to about 850 species of plants out of which 624 species are on the endangered International Union for Conservation of Nature (IUCN) list. Daulatabad Fort is an architectural marvel built in the maze format, designed to keep the enemies confused and make it close to impossible to reach the top. The central structure is separated from the outer side through wide moats. But if you manage to cross all this and reach the top, you will be welcomed by a panoramic view of the city of Devagiri, a secret tunnel, a magnificent palace and a huge cannon for that perfect video. Yet another UNESCO heritage site, Chhatrapati Shivaji Terminus got its present name in 1996 from its original name, Victoria Terminus. A heritage station that operates both local and central railways, it is built on the concept of Victorian Italianate Gothic Revival architecture which makes for a majestic sight. And the current light show on the face of the building makes it even a bigger hit. Inaugurated in 2009 by the then President Pratibha Patil, Pagoda is built on a donated land using generous donations, and is a monument of peace, harmony and tolerance. A meditation centre that also hosts Vipassana courses, it is open for visitors from 9 AM – 7 PM through the week without any entry fee (even the guides offer their services for free), and there’s lot to see.